Inspired by primitive art and devoted to raw emotional imagery, Kirchner produced around 20,000 abstract and thought-provoking artworks throughout his mentally fragile life. 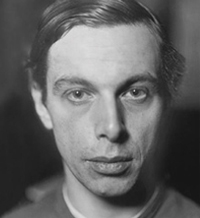 About the artist: Ernst Ludwig Kirchner (1880 – 1938) was a German expressionist painter and printmaker and one of the founders of the artists group Die Brücke or ‘The Bridge’, a key group leading to the foundation of Expressionism in 20th-century art. In 1905, Kirchner, along with friends, founded the artists group Die Brücke (‘The Bridge’). From then on, he committed himself to art. He moved to Berlin in 1901, where he founded a private art school, MIUM-Institut with the aim of promulgating the modern teaching of painting. Sadly, the school was unsuccessful and closed the following year. Around the same time, Kirchner began a relationship with Erna Schilling that lasted the rest of his life. In 1921, there was a major display of Kirchner's work in Berlin, and the reviews were favourable. He worked mainly in Frauenkirch, where his style grew increasingly abstract. Kirchner volunteered for army service in the First World War, but suffered a breakdown and was consequently discharged from his duties. In 1933, his work was branded as ‘degenerate’ by the Nazis and in 1937, over 600 paintings were sold or destroyed. Similar to the artist Van Gogh, Kirchner committed suicide by gunshot in 1938.